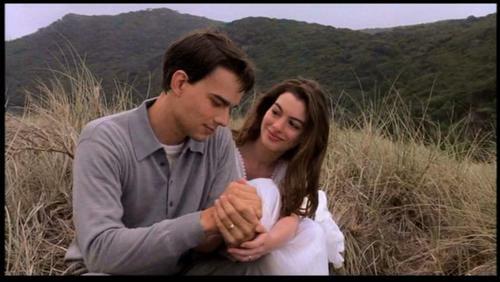 This week marks 15 years since the theatrical release of The Other Side of Heaven, the lush and engaging Latter-day Saint missionary biopic which launched the careers of megastar Anne Hathaway and TV favorite Christopher Gorham. The film tells the love story of Elder John H. Groberg and his future wife Jean, exchanging letters as he serves the people of Tonga. In commemoration the film is getting a gorgeous high-definition upgrade on both iTunes (buy or rent here) and Amazon (buy or rent here). 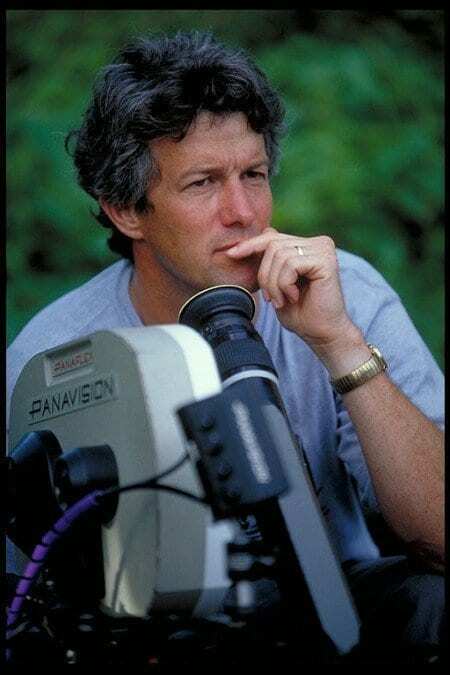 I recently grabbed the ear of prolific director Mitch Davis to ask his memories of making the movie, collaborating with a prominent LDS church leader, his reflections on the actors, and his thoughts on the worldwide spiritual impact of The Other Side of Heaven. JONATHAN DECKER: Mitch, thank you for taking the time to reminisce with me on The Other Side of Heaven. I’m a huge fan of the film. How was it that Elder John H. Groberg's mission stories came to be made into a glossy feature film? Who approached who? How closely did you work with Elder Groberg on this? 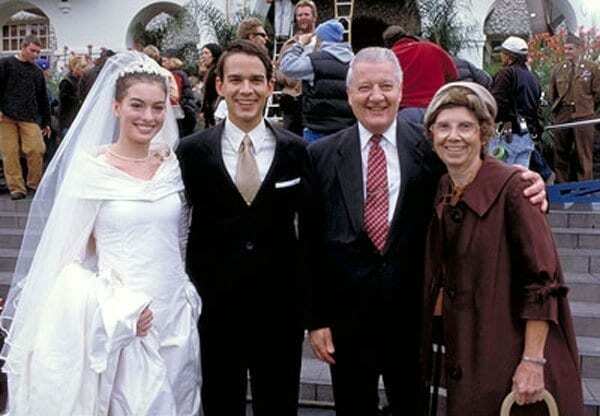 MITCH DAVIS: I had a spiritual experience while serving as a missionary in Argentina in 1979 that made it clear to me I was to someday make a movie about what it means to be a Mormon missionary. That experience directed the next decade of my life as I made the decision to go the USC film school which led to an internship at Disney which led to a job as a junior producer at Disney. Through it all I had this objective at the back of my mind. 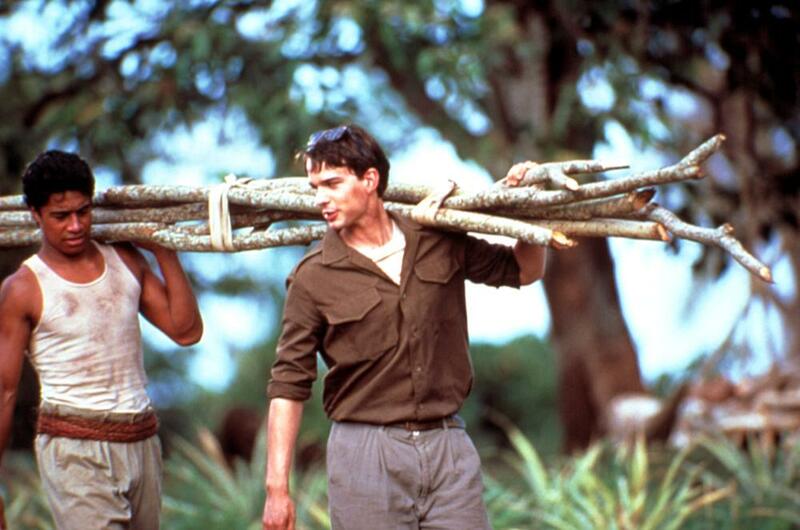 capacity to take a whack at making a movie about missionary work. I had two friends who recommended that I consider adapting Elder Groberg's book into a film but it was hard for me to imagine that a General Authority's book would contain enough colorful characters and drama and humor to make a good movie so I ignored their suggestions. Until one of them thrust his personal copy into my hands and said, “Just read this!” I started reading the book and wasn't 20 pages into it before I knew this was a story I had to tell, a movie I had to make. The movie rights to Elder Groberg's book were held by a company called Bookcraft which was in the process of being acquired by Deseret Book. When I went to the executives there and told them I wanted to buy the movie rights they were absolutely flabbergasted. This was back 1999, before any LDS-themed movies such as God's Army and Singles Ward had been produced. It was a very novel idea at the time. They told me they would consider selling me the rights if Elder Groberg approved of the project and arranged for me to meet with him. I met with Elder Groberg a couple of times, first in his office, then at his home with his wife, Jean. They were prayerful about my proposal and, in the end, supported it. So I did the deal with Bookcraft just days before its acquisition by Deseret Book was completed. The funny thing is that, by the time I bought the movie rights, I had already finished writing two or three drafts of the script and had already started raising money to make the film. I just knew the movie was going to happen. I knew Heavenly Father wanted it so I worked on it full-time some several months before I actually had the rights to make the film. Elder Groberg and his wife, Jean, were extremely gracious subjects of the movie. They provided me with copies of letters they had written each other, journal entries, and access to interview them and other family members a number of different times. They advised me throughout the processing of writing the script but they never asserted any kind of control over it. They made a number of fantastic suggestions and observations about different parts of the script but left all final decisions up to me. They were extremely generous partners. The Other Side of Heaven is an inspirational mainstream film that happens to be about Latter-day Saints, as Fiddler on the Roof is about Jews and The Blind Side is about evangelical Christians. What steps did you take to assure mainstream appeal? How did you balance that with being true to the characters and their devotion to the Restored Gospel? From the outset I was determined that the movie would contain three key elements: The spirit of Elder Groberg, the spirit of the Tongan people, and the Spirit of the Lord. I wanted very much for the movie to “build on common ground” between LDS audience members and the broader world. I didn't want to alienate non-LDS viewers with dogmatic content that would prevent them from feeling sympathy for the movie's characters, from being drawn into the story and the spirit of it all. I didn't want to start a doctrinal argument, let alone win one. At the same time, I wanted to be honest and forthright about who and what this movie was about. I hope I struck that balance. While it is a mainstream film, amongst Latter-day Saints it holds a special place as one of the very best films of the Mormon cinema genre. It's definitely the prettiest, in my opinion. Tell us about the location filming. Where was the movie shot? What were the challenges and positives of filming there? Any struggle with the elements? 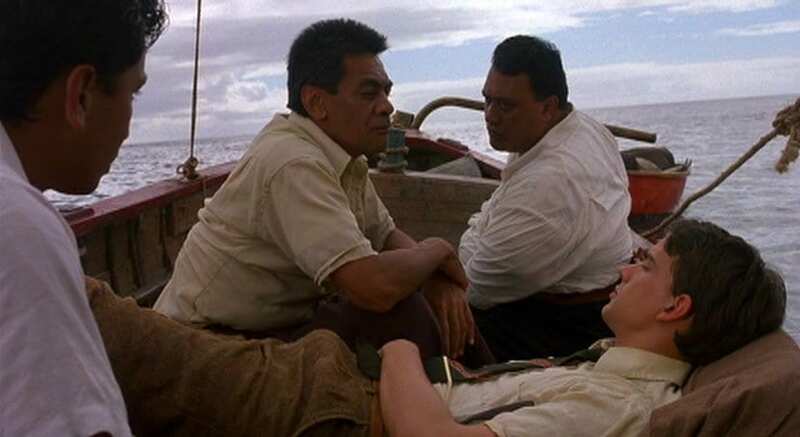 We shot all of the Polynesian locations in the movie — which include Fiji, Samoa, and Tonga — on the island of Rarotonga in the Cook Islands, which are to New Zealand what Puerto Rico is to the United States. Rarotonga is a beautiful, majestic island with enough infrastructure to support a movie crew and enough Polynesian wilderness to feel pristine. 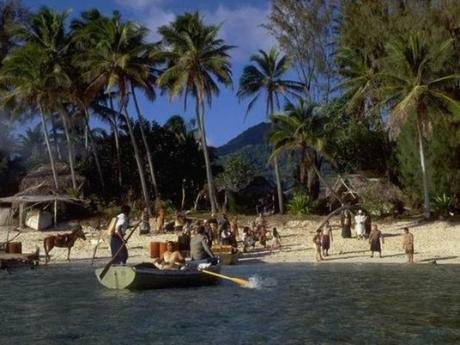 It turned out that making a movie on a remote South Pacific island was a lot like serving a mission on a remote South Pacific island. Everything we used to shoot our movie had to be shipped by either boat or airplane, and the boat we put most of our equipment on broke down at sea twice while en route to us from New Zealand. As a result, we had to scramble our schedule and shoot the movie out of the original order we intended. And it was a joyous day when the ship actually arrived and, with it, our props and lights and generators, etcetera. 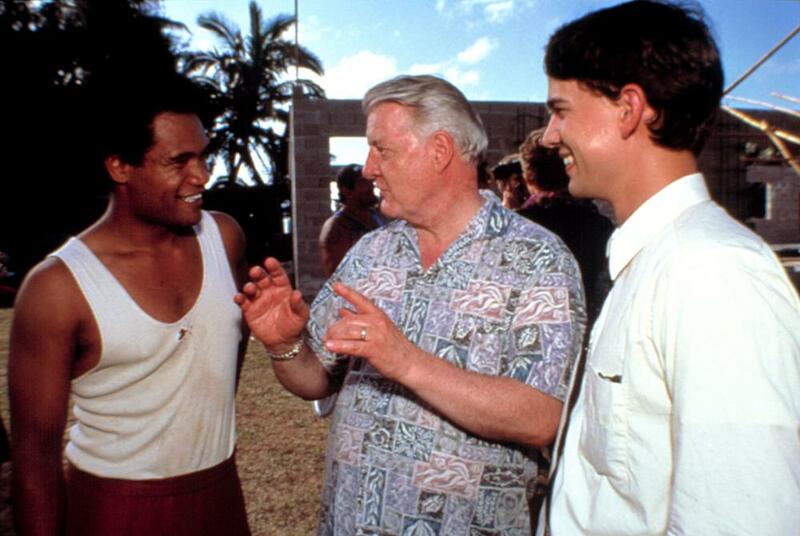 Just like Elder Groberg had been in Tonga fifty years earlier, we were completely dependent on a boat to bring us the goods that would allow our movie to be made. We shot our movie on a tropical island over two months in winter, and almost our entire movie takes place outside. As a result, we were completely exposed to the whims of the weather. We had a prayer service with many of the island's ministers the day before we started shooting and they asked us what they could do to help us. We asked them to pray that it would not rain until after we were through with our production. And they took that request very seriously. This film is obviously well-known for launching Anne Hathaway onto the scene. What was she like to work with? What did she think about the Latter-day Saint element? Annie was a delight to work with. She was only 17 or 18 when she showed up on our set but had the maturity of someone much older. She was very respectful of the spiritual elements of our story, if not the religious aspects. We talked about religion several times and she expressed that she was raised a Catholic but had parted ways with that church when her older brother came out as gay and she felt she had to choose between him and the religion that, in her words, “didn't support her brother's lifestyle.” Annie became a close friend of my son, Christian, who was working on the movie with me and even wrote him a couple of times while he was serving his mission in Brazil. She was always very respectful but also self-confident in her own views. What are your thoughts on Anne's career since The Other Side of Heaven? Annie auditioned for her role in “The Princess Diaries” while on a layover in Los Angeles on her way to shoot with us in New Zealand. Two days in to filming with us she got the part to star with Julie Andrews in a Garry Marshall film, and I knew then and there she was going to be a star. I sat her down in the cafeteria one night and told her everything that was going to happen to her. I pleaded with her to not lose her unique light. I think she was touched by that conversation, but I also think my predictions of the Hollywood onslaught she was about to face were pretty accurate. It is customary in the movie business to give a gift to your lead actors at the conclusion of production. I bought Annie a beautiful, large single pearl and wrote her a note about how she needed to do everything possible throughout her career to keep her light shining as bright — or brighter — than that pearl. Because it is conventional Hollywood wisdom that an actor never wants to get typecast as one kind of character or another, and I knew that after her first two movie roles — that of an angelic, Mormon maiden and the unlikely Princess of Genovia — she was going to get lots of pressure to take darker, edgier roles to show her range. I pleaded with Annie to see that ploy for what it was and hang onto her light at all costs. To a large degree, I think she has done that. I imagine there is a role or two she said yes to that she'd like to have back. But I love her and I forgive her and I try not to judge her. She is an extremely smart and classy actress and her Academy Award for Les Miserables is only the beginning of her artistic triumphs, I think. No way is it the end. You also worked with Christopher Gorham, who played Elder Groberg. While visiting Salt Lake Comic Con recently, he described that shoot as “a tremendous opportunity for me. It was an opportunity to tell a really beautiful story in a really beautiful place with really beautiful people.” He noted that he was a newlywed, so that shoot was something of a honeymoon. What do you remember about working with Gorham? I love Chris like a brother. He is such a good man; a good father and husband and actor. He has so much integrity. And, like Anne Hathaway, he has light. I probably auditioned 200 actors for the role of Elder Groberg before I found Chris, and I just kept looking for someone to come in the door who had a little light in his eyes. Chris possessed that light in a tangible way and I knew after five minutes with him that he was our Elder Groberg. Chris was game for anything. I mean, we threw him in the ocean, we marched him through a hurricane, we put him on a trail in the woods with an island temptress attempting to seduce him. And at every turn, he made the right choices creatively. I really felt he embodied the kind, wise, innocent spirit of Elder Groberg, and he respected the role very much. Chris has had a great career since The Other Side of Heaven, mostly in television. But more importantly he is still married to the great gal he brought to Rarotonga as his brand new wife. They have three beautiful children and they are fiercely loyal to each other. And he still has light coming out of his eyes. What do you remember about staging that big swing dance scene? Was that actually filmed at Brigham Young University? What about the duck pond scene? The big swing dance scene — which is the first scene in the movie — is actually one of the last scenes we shot. We filmed all of the U.S. scenes in Auckland, New Zealand, and that scene was staged in a concert hall in downtown Auckland. They just happened to have a pipe organ that looked a lot like the organ in the Salt Lake Tabernacle, so we just went with that. Our producers, John Garbett and Jerry Molen, outdid themselves with that scene. They gave me everything I could have possibly asked for to make that scene rock. I remember walking back to my hotel about midnight after shooting that scene and feeling just giddy with gratitude for all the production value we had been able to capture that night. The BYU Botanical Garden scene was shot in a park in Auckland. They provided the pond. We brought the swingset and the fall leaves. A visual effects house in Canada gave us the light of the moon reflecting in the pond's water. Thematically, The Other Side of Heaven is as much about inter-cultural kinship and appreciation as anything else. 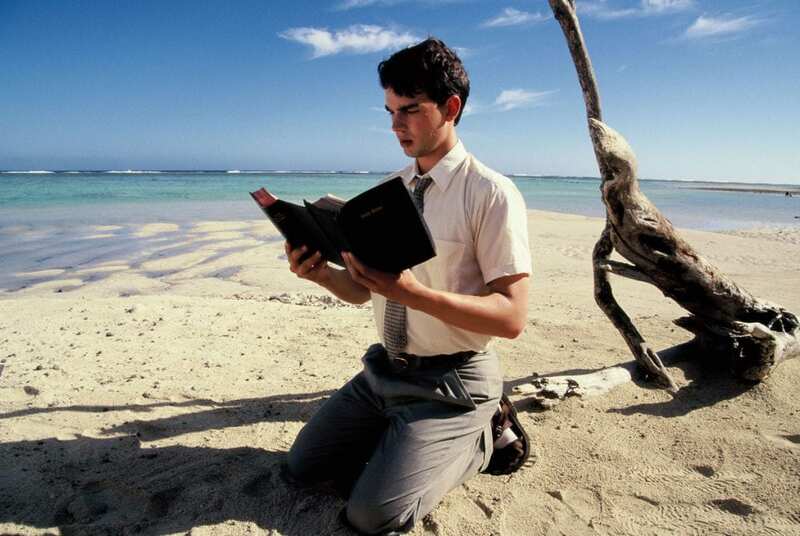 Mormons and other Christians working from mistrust to friendship. A white American coming to adore a people and way of life far different from his own. What response have you seen to these themes from audiences? Audiences have been consistently moved by these stories of our common humanity. Some of the critics have been moved by them as well, but others have cried foul over the idea of a white man bringing religion to a brown-skinned people. That storyline plays into a paradigm that is about as politically incorrect as one can get these days. But, as Elder Groberg is wont to say, “It's the truth! We are telling the truth of what really happened!” And there is great power in telling the truth. By the end of the movie, it is clear Elder Groberg has learned as much or more from the Tongan people than they ever learned from him. 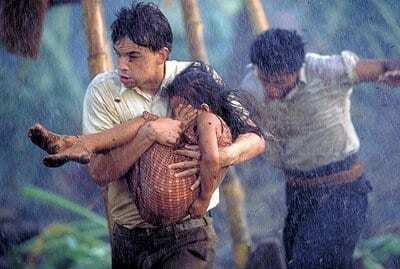 And the Tongan Methodist preacher who gave Elder Groberg his last bottle of jam during a famine makes the ultimate heroic sacrifice of the film. So who are this movie's heroes really? What are some of your fondest memories from the shoot? Anything funny or moving that stands out to you to this day? I will never forget how frequently John and Jerry and I would gather together to pray the rain away, and how immediately and inevitably those prayers were answered. Clouds would roll in, rain would threaten, and I would sneak off, either alone or with John and Jerry, and remind the Lord that we were on his errand. We had no rain cover. If the rain started falling we were sunk and had no choice but to start cutting scenes from the movie. Those prayers were as frequent as they were fervent. And the non-LDS crew figured out what was happening and started teasing us about it. After we decamped to New Zealand to shoot our U.S. scenes we continued to do battle with the weather. One of our last nights we were shooting in a park outside a museum. It was the opening scene of the movie where the camera runs across the BYU campus up into the dance that is supposed to be taking place inside the Maeser building. We finally got the shot set and were just about to roll film when a fog bank rolled in and we could no longer even see the Maeser building. Auckland has weather a lot like San Francisco and once the fog rolls in it usually lasts all night. I remember our Kiwi gaffer turning to me with a sly grin on his face. He sort of scowled and egged me on: “Okay mate,” he said, “let's see you pray this one away!” After awhile I snuck off a ways and prayed as fervently as I knew how for relief and fifteen minutes later a wind came up and blew the fog away. You can see the remnants of the fog in the atmosphere of that first shot in the movie — soldiers and students headed across campus to the dance at the Maeser building. You might just see the building when you see that scene, but I see a miracle. 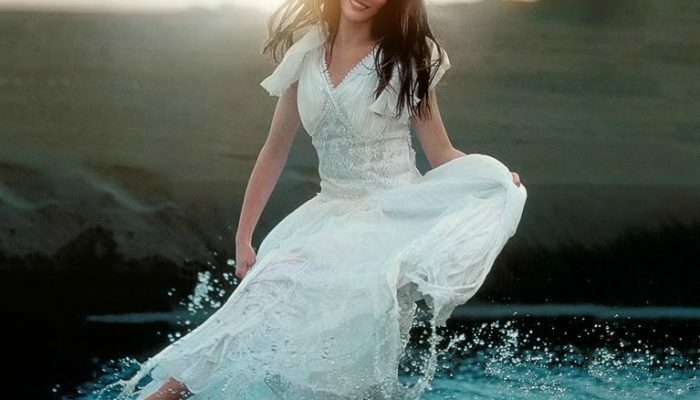 The same is true of the movie's pivotal baptismal scene — the one wherein the island temptress is baptized by Elder Groberg in impossibly beautiful aqua water. We spent the entire day shooting that scene, and that entire day it rained buckets everywhere on the island except in a small radius around our baptismal set. 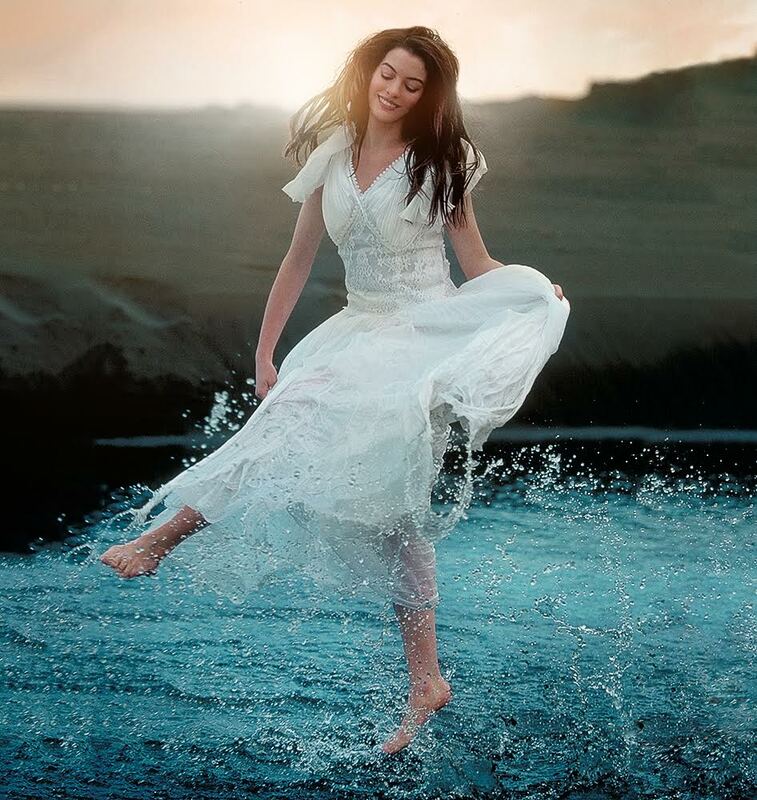 You may just see a pretty baptismal scene when you watch that part of the movie. I see a miracle. What can you tell me about shooting the ocean storm? That's an impressive sequence! I think it stands up to anything like it in larger-budget features. Our producers, John Garbett and Jerry Molen, did a fabulous job mounting the storm sequence. They actually rented one of the larger dry docks in Auckland and built a stunt set in the bottom of it that included a boat on a rail that could be controlled by a remote control joystick. On the side of the dry dock they built a huge chute with several trash dumpsters full of water that could be dumped down the chute on command to create whitewater and waves around the boat. And they put a Zodiac boat inside the dry dock with several safety divers to keep an eye on our actors during the action. It was quite a big movie night. I mean, our movie felt like a major studio movie that night. It was wintertime in Auckland when we shot that scene so the water was about 50 degrees. Our poor actors would have frozen to death but our producers wisely rented a hot tub that they put at the edge of the set so they could warm up between takes. Marry all that footage with some visual effects magic and you get a pretty harrowing scene. How do you feel the film was received by the Latter-day Saint community? Any feedback from Elder Groberg or other prominent Mormons? By and large the movie has been well received by the LDS community. With an adjusted gross box office of over $7 million, it achieved by far the largest theatrical box office of any LDS film. Elder Groberg and his wife, Jean, continually receive emails and letters from around the world describing the movie's positive effect in peoples' lives. I remember they read me one that came from a girl in the Ukraine who saw a pirated Russian version of the movie on an African website. I hardly ever speak at a fireside or other large LDS audience without someone coming up to me who joined the Church or went on a mission or both because they saw the movie and it moved them. Elder Groberg and his wife have been very happy with the way the movie turned out and the ways in which it enhanced Elder Groberg's personal ministry. And it's hard to think of anyone whose opinions might matter more than President Hinckley. Once I knew he was happy with the result of our efforts, I knew we had done something good. Let's talk about broader audience reception. What did you hope the film would accomplish in terms of moving people? Do you feel that it has? Our objective with this movie was to make a great movie about someone who happened to be LDS. Our objective was to get people to embrace Mormon characters and a Mormon story with their defenses down. And our objective was to make a movie entertaining enough that a major studio would be willing to distribute it and take it to all the world. By and large, we achieve all three of these objectives. The Other Side of Heaven is the only faith-based movie ever distributed by the Walt Disney Company. It has been (and continues to be) distributed all over the world in dozens of countries and languages. Just this week iTunes released a High Definition version of the movie throughout North America, and the movie is over 15 years old. like a person. And this person travels about the world without compulsory means doing good. We calculate that, to date, approximately 200 million people have seen the movie in theaters, on TV, on DVD, or streaming. That is no small thing. And it all flows from the fact that we are telling a true story that contains the spirit of Elder Groberg, the spirit of the Tongan people, and the Spirit of the Lord. What do you see as the legacy of The Other Side of Heaven artistically and spiritually? I hope the fact that our movie is alive and thriving 15 years after its initial release is evidence we created something good. I hope the fact that what we created was embraced and distributed by the number one studio in the movie business, is evidence that LDS stories can be told to mainstream audiences in a manner that merits mainstream distribution. And when you distribute a movie through mainstream distribution you have the extraordinary benefit of being able to speak to an audience with its defenses down. People who walk into a movie theater knowingly suspend their disbelief at the door. They enter a dark room and happily embrace the idea of talking animals, flying superheroes and…a Mormon missionary raising a young boy from the dead. 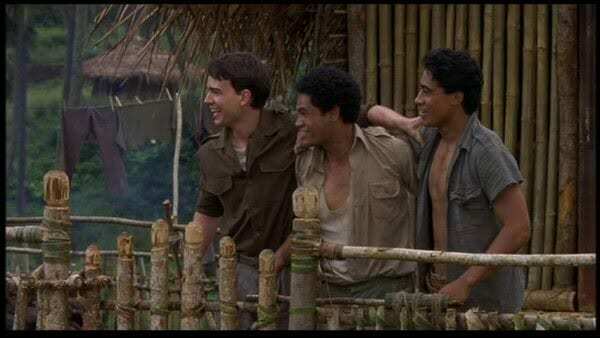 The Other Side of Heaven is the largest budgeted LDS narrative film ever made and it is for that reason that it has achieved such widespread, mainstream acceptance. But we still spent a relatively puny amount of money by Hollywood standards ($7 million). As a people, I think we need to look ourselves in the eye and decide how much we really believe our stories are worth telling. Is LDS culture a $250,000 culture, or is it a $50 million culture, or is it a $200 million culture? How much is the story of the Restoration worth, for example? What is the value of our Pearl of Great Price? Frank Capra said, “Only the morally courageous should be allowed to speak to their fellow men for two hours in the dark.” By and large, I think the cinema is currently dominated by voices of those who are more morally derelict than courageous. I hope The Other Side of Heaven can be seen as an example when, as one critic put it, “there is an alternate universe in which Mormons are hip and funny and cool.” Or, at the very least, relatable. Our shared humanity is our culture's greatest missionary tool. The more the rest of the world comes to understand they have things in common with us, the more they will be interested in what we believe and how we conduct our lives. We need to tell Mormon stories that reinforce our common humanity rather than glossing it over and making us appear to be stoic or superhuman. Nobody cares how superhuman you are until and unless they know how human you are. What have you been involved with since that you'd like for our readers to check out? 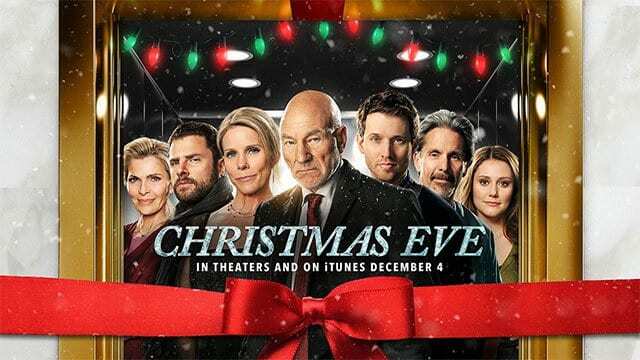 I directed and produced a movie with Patrick Stewart called Christmas Eve. It's the story of six different groups of New Yorkers who get stuck inside elevators on Christmas Eve. It's a funny, poignant film that will be available on ITunes and Netflix this Christmas season. And I just finished editing a movie called The Stray that tells the true story of my family taking in a stray dog who ended up saving my life when I was hit by lightning in the mountains of Colorado. Thank you so much for giving us this wonderful film and for taking the time to look back with me. I hope our readers will revisit it and new viewers continue to find and fall in love with it. My pleasure. Thank you for the opportunity. The Other Side of Heaven is now available in high-definition on iTunes and Amazon. For another sweet Anne Hathaway romance, I highly recommend the Jane Austen biopic Becoming Jane. Rent or buy it here.